Timeless appeal has always been a forte of this Midwest vacation favorite. Now, there's even more to love. Maybe it was the evening light—soft, golden, the kind you get way up north on those very fine, too rare summer evenings, pouring into the room, through the big windows. Perhaps it was the room itself, an achingly modern space with high ceilings and a lively bar at the back—minimal without the punishment, nearly all blinding white, but with occasional pops of millennial pink. Or maybe it was the food—out comes a dish of foraged fiddlehead ferns served with puffed wild rice, slivers of radish, all on a slick of pureed lovage, and drizzles of blueberry soy gastrique. And then there was the wine, plucked from a list that obsesses over the obscure, the sustainable, the delicious. Everything about the moment, that meal, felt so forward, so worldly—squint and one might imagine oneself in Scandinavia, except that this wasn't some island off the coast of Sweden, this wasn't Copenhagen, and I didn't have to book a year in advance to get a table. 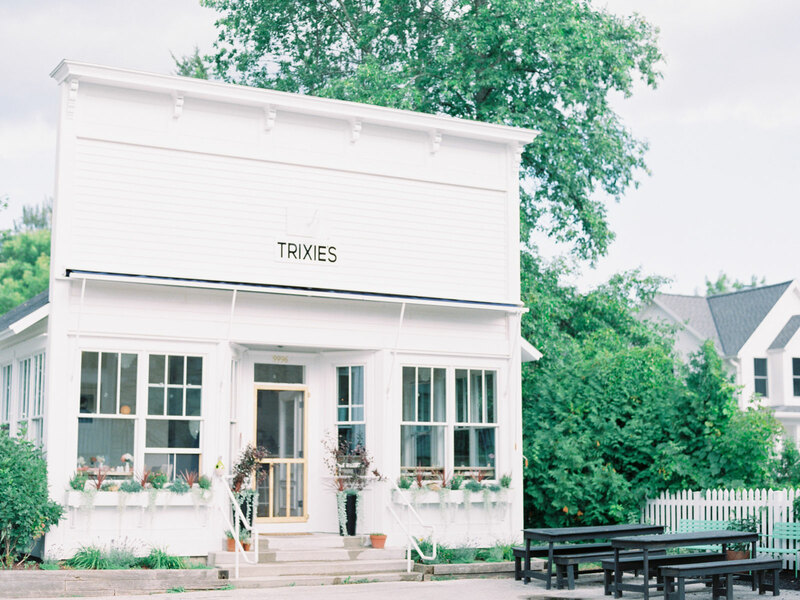 This was Trixie's, a tiny restaurant in the tiny town of Ephraim, Wisconsin, a town settled by a group of god-fearing Norwegians back in the 1800's, a town that clung so passionately to its roots, for so long, you couldn't even buy alcohol here until 2016. Perusing the list at Trixie's, a well-conceived document spotlighting woman-powered wineries from all over the world—biodynamics from Burgundy, a dry Muscat from California's underrated Suisun Valley that danced on the tongue, like the sun's last rays on Green Bay, just down the end of the block—even a Door County diehard like myself is having trouble coming to grips with the fact that this is happening, and that this is happening here. This Door County, I don't know yet. But I like it. There is nothing wrong, nothing at all, with the other, more familiar Door County, despite what too-cool-for-school types will tell you. Yes, this wildly popular Midwest vacation destination, a narrow, highly scenic peninsula jutting out into Lake Michigan just a few hours north of Milwaukee, clings to the old ways. Door County is tradition-mad, everything is cherries and cheese, apple cider, pie and lace doily bed and breakfasts, and I love it all, the whole package. I love walking into the antiquated Piggly Wiggly in Sister Bay, and seeing The Cheesehead Devotional on sale at the checkout counter, like I might suddenly decide on a whim that I need a daily inspirational reading tailored to Packers fans, on my way out the door. I love the wineries flogging their cherry wines to eager crowds of bus tourists, I love breakfast at the White Gull Inn in Fish Creek, where they can charge $335 a night for a room, like this was Martha's Vineyard or something, and where people line up downstairs for two hours on weekends for French toast stuffed with half a pound of cherry cream cheese. Then there are the old supper clubs, where you can still get an Old Fashioned made with brandy and 7-Up, there is the drive-in movie theatre, and there is the fact that some of the peninsula's best pies (there's a lot of competition) come from a place called Bea's Ho-Made, and yet almost nobody giggles; I love that people make annual pilgrimages for apple cider doughnuts from as far away as Chicago, and that you can smell the eau d'hazelnut from the parking lot of one of the most popular coffee shops. Outside, in the real world, everything is changing so fast—must it happen here, too? In recent years, there have been stirrings. Subtle ones, to the point where you almost have to know where to look, in order to experience the next, the emerging, the new Door County. Trixie's is a fine example of this almost stealth movement—the visitor could drive through Ephraim one hundred times and never know the peninsula's most exciting restaurant was right there, behind a sensitively restored historic storefront, tucked in next to the municipal building. They might never know that just the corner from there, the region's best coffee is being roasted and brewed, by a guy that learned the trade in New York. Or about the underground pop-up dinner series, the experimental café tinkering with notions of what the fourth wave of coffee might look like, just a couple of doors down from the nearly fossilized Piggly Wiggly—over and over again, there it is, the future, hiding in plain sight, waiting to hit it big, while the lion's share of the crowds whistle straight past, on their way to cherry pie, or cider doughnuts at the orchard store that most likely also sells thirty kinds of jam, and little plaques that say Live, Laugh, Love. Once the shock wears off, there is something exciting about this slow and steady introduction of the new, alongside the old. It's like there was just one Door County, which was already tremendous, and now there's this whole other Door County, and who on earth is going to complain about that? If you're headed up north to see the leaves this fall, don't ignore the old favorites—they're favorites for a reason—but also set aside a day (at the very least) explore the new—this carefully curated guide will completely change your perception of one of the most iconic Great Lakes destinations. Chances are, you'll go home even more in love with Door County. Wake up and smell the future at Ephraim Coffee Lab. Being dry and relatively quiet all those years never stopped tiny Ephraim from being one of the nicest places to stay in the region, and if you wake up here—and you really should—you'll be walking distance from the best coffee around. Randy Isely, who did time in New York and knows a lot about the stuff, roasts the best coffee on the peninsula—pick up a perfect cappuccino and hang around for a chat with the man himself, or head down to the waterfront (just steps away) and enjoy the view. Eat a healthy breakfast at Cloud Nine Juice Bar & Café. Save the stuffed French toast for another time, when you're not going to be quite so busy eating—instead, ease gently into your day with a kale and black bean breakfast hash, made with local, organic eggs, or a turmeric, beet and carrot smoothie, served up at this charming spot at a rural, four-way stop. Feeling good about yourself? Ride that wave over to Lake Michigan for a memorable walk through the Ridges Sanctuary, a forever protected tract of land at the edge of the quaint village of Bailey's Harbor. Hikers are presented with an astonishing array of pristine landscapes within a relatively short period of time. Taste the best cheeses around at Wisconsin Cheese Masters. There is so much good cheese being made in this state right now, it can get a little overwhelming—if you took, say, the top ten producers in Wisconsin, got in a car and tried to visit them all, you'd spend way too much of your time driving, because they are all over the map. Let someone else do the legwork, someone like the passionate and knowledgeable couple behind Door County's best cheese shop—anyone looking for a crash course in the evolution of America's Dairyland into one of the finest destinations in the hemisphere for serious cheese should stop by for a sample or three. Stop for lunch at Roots Inn & Kitchen. Charm-wise, the village of Sister Bay is a close runner-up to Ephraim; it's here you'll find this next-gen update on the classic Door County bed and breakfast, that also happens to open to the public for lunch from Saturday-Tuesday each week. Stop in for simple, honest food—organic local bratwursts loaded with fresh fixings, rustic flatbreads, veggie tacos or a macaroni and cheese waffle, served with basil aioli. Finish up with dessert—they're known for their bread pudding, made from a recipe cribbed from one of the owner's grandparents. Go for gelato at Door County Creamery. What looks like yet another smart new storefront catering to visitors on Sister Bay's main drag is actually the retail outlet of an ambitious local goat farm, which, besides offering goat yoga to the public, produces some absolutely beautiful cheeses—stop in for samples, as well as a scoop of their delicious goat's milk gelato, in flavors ranging from the traditional (stracciatella), to the so hot right now (olive oil and sea salt), to the extremely Wisconsin (Pumpkin pie). Sit down to a serious tasting at Island Orchard Cider. A renovated 1930's storehouse in Ellison Bay is one of the best bars on the Door Peninsula that isn't really a bar, but rather an exceedingly popular tasting room. Here, a French-American couple (she's French, he's American) is making gorgeously dry, Normandy-style ciders, from an en vogue Rosé (in apple cherry) to a mellow oak-aged apple. Book a table for dinner at Trixie's. With that long list of intriguing natural wines, the appealing setting, and knowledgeable service, Trixie's could skate by on the most basic cooking, but this almost hidden Ephraim gem also happens to serve some of the most forward food on the peninsula. This is the only place you will find whitefish (a regional staple) served with roasted mission figs, celeriac and lemon; delicate, house-made pastas are a joy to look at, as well as to eat. Ask lots of questions about the wine—they'll be only too happy to answer, and you'll walk away happy for having tried something good. Mingle with the late night crowd at Wickman House. Before there was Trixie's, there was her big brother, this cosmopolitan, Cape Cod-esque bar and restaurant in tiny Ellison Bay. 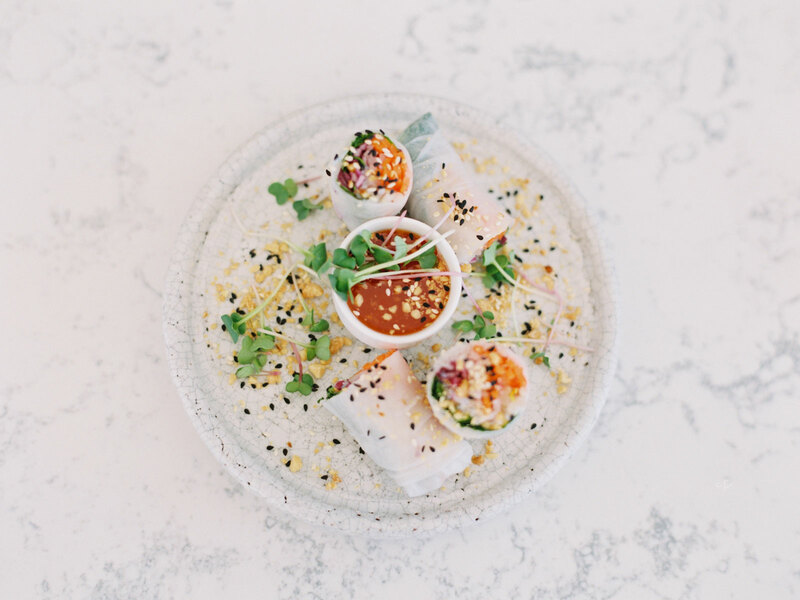 Housed in a historic inn and feeling more like a private club than just another Door County dinner spot, the restaurant shares an executive chef—the talented Ryan Klawitter—with Trixie's, but the menu here is mostly about comfort, and about smart upgrades on the familiar. Stop in for a snack of hand-battered, deep-fried Wisconsin cheese curds, served with a red pepper aioli, a burger made with local, grass-fed beef, maybe a mezcal cocktail, or—if you're still surfing the high from your first dinner—more wine. (The list here is no slouch.) With all of this, you get free people watching—at full tilt on a weekend evening, rest assured—you're right where you need to be.